Though it is difficult to believe, prolific children’s author Dan Gutman was not a fan of reading when he was younger. Well, that might be putting it mildly. After high school, Gutman headed to Rutgers University to study, of all things, psychology. “Writing always came naturally to me. I remember seeing the other kids in school struggle to put a sentence together or write an essay. With me, it just flowed; but it never occurred to me that I could write as my profession until the end of college. In 1994, Gutman sold his first novel, They Came From Centerfield (Scholastic, 1995). But success was not a sure thing, and Gutman experienced rejection after rejection after rejection before finding success again. So what literary challenges now face Gutman? “I would get bored if I just wrote one kind of book all the time. Sometimes I want to work on a project for beginning readers, and the next day I might want to work on something for older kids. One day I might want to write funny, and the next day I might be in a more serious mood. I think it keeps things fresh to do something different every day. With a variety of series like The Genius Files (HarperCollins), the Baseball Card Adventures (HarperCollins), and My Weird School (HarperCollins) that are full of travel, sports, and alien encounters, young readers definitely have no chance of getting bored. But these series have ended. What is next? “Now that The Genius Files is finished and the Baseball Card Adventure series is finished, I’m working on a new series called Flashback Four (HarperCollins). I have always loved photography, and this series is about four time-traveling kids who go on missions to take photographs of historical events that were never photographed when they actually happened. For instance, you’ve never seen a photo of Abraham Lincoln delivering the Gettysburg Address. It’s not that photography didn’t exist in 1863. The thing is that the Gettysburg Address only took two minutes to deliver, and the photographers who were there that day didn’t have time to set up their big, bulky cameras. So I’m sending these kids back to 1863 to get that shot. 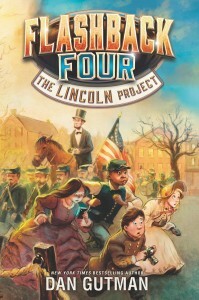 “The first Flashback Four book, The Lincoln Project (HarperCollins, 2016), is done. Now I’m working on the second one, in which they have to go back to April 1912 and take a photo of the Titanic as it’s sinking. 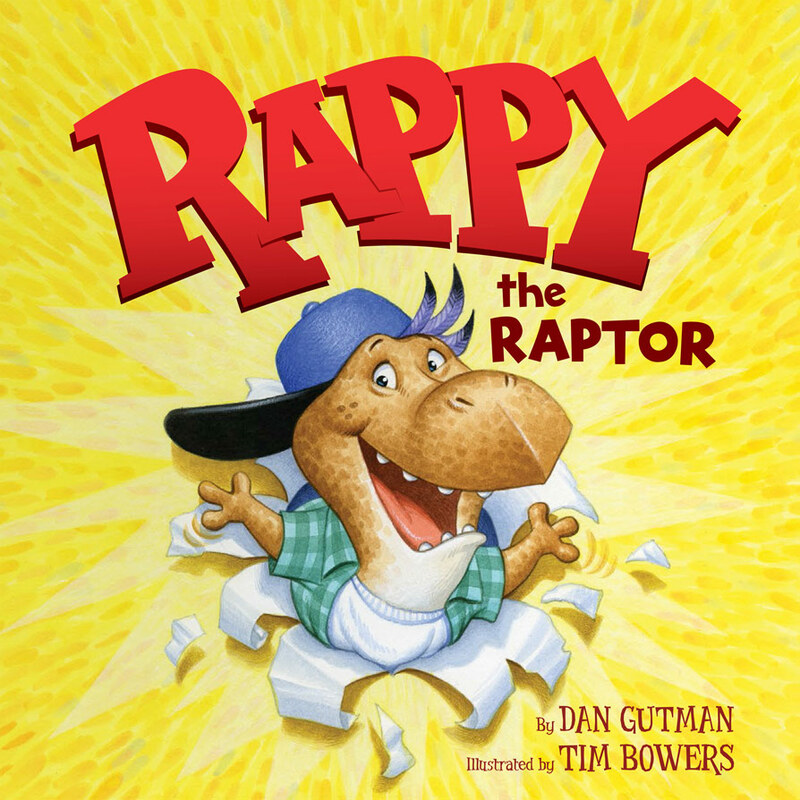 I’m also working on a picture book for younger readers called Rappy the Raptor. It’s about a dinosaur who raps.